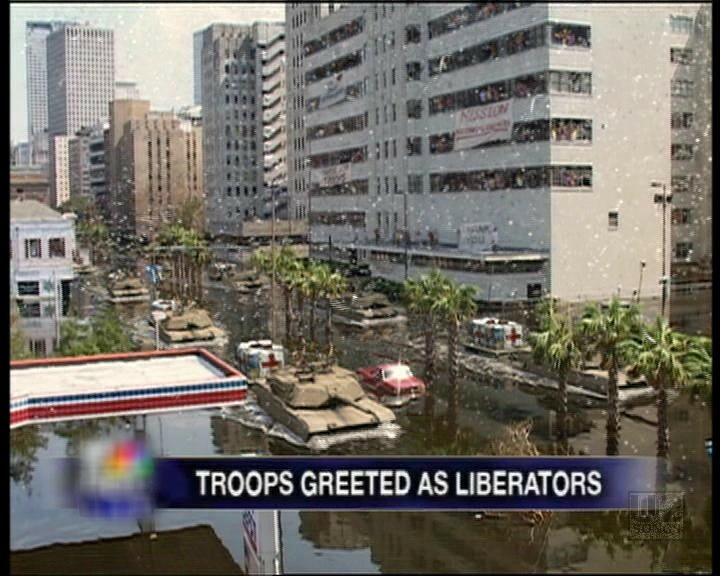 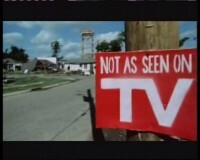 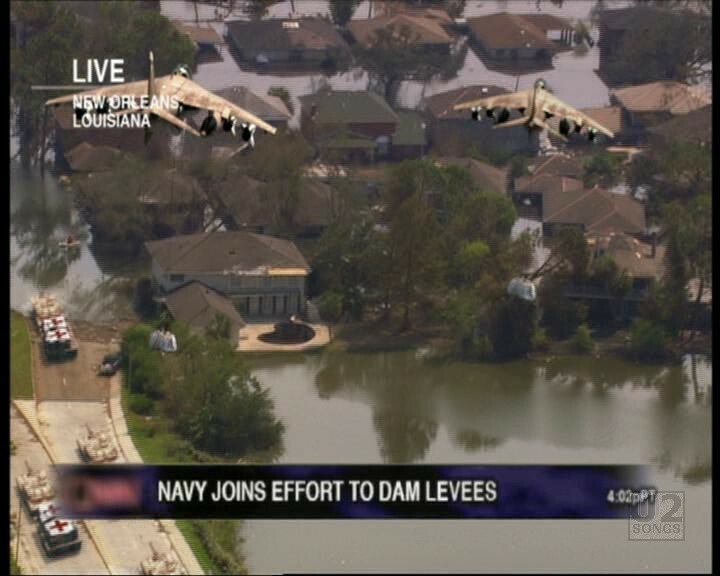 Special effects show tanks rolling through the flood ships giving out aid, skies filled with fighter jets dropping aid packages, and the video ends on a sign that says “Not as Seen on TV”. 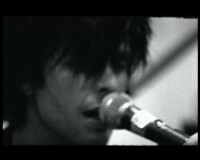 The video was initially uploaded to YouTube, and was released on October 27, 2006. 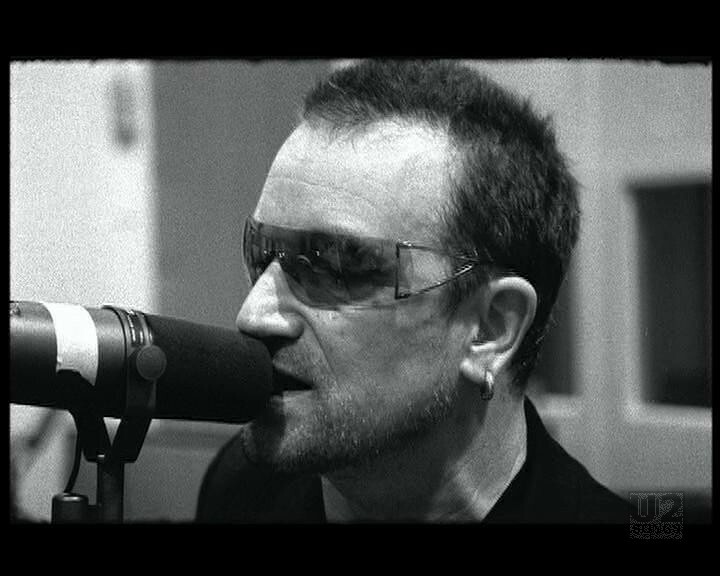 The footage from Abbey Road was taken over a few days starting September 11, 2006 as Green Day joined U2 in the studio to record the song. 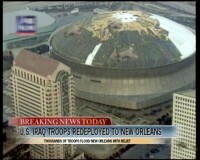 The footage from the Louisiana Superdome was from a rehearsal and performance on September 25th, 2006. 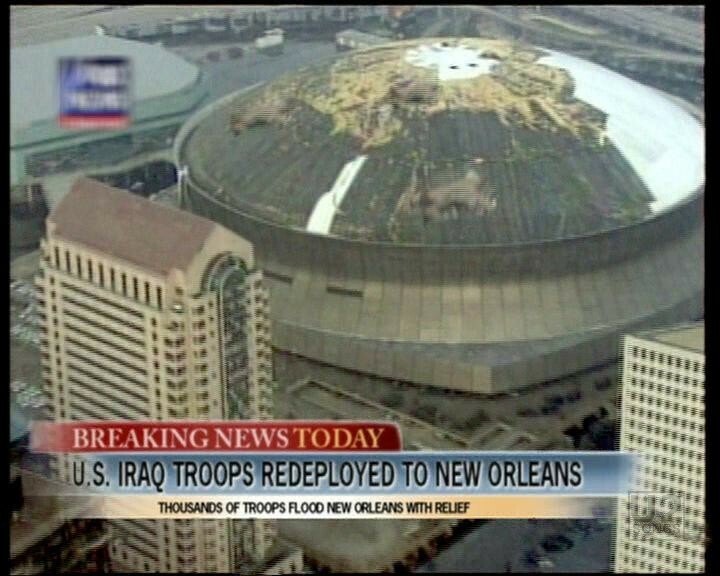 This was the reopening of the Louisiana Superdome after the devastation by Katrina, and U2 and Green Day performed before the football game by the Atlanta Falcons and the New Orleans Saints. 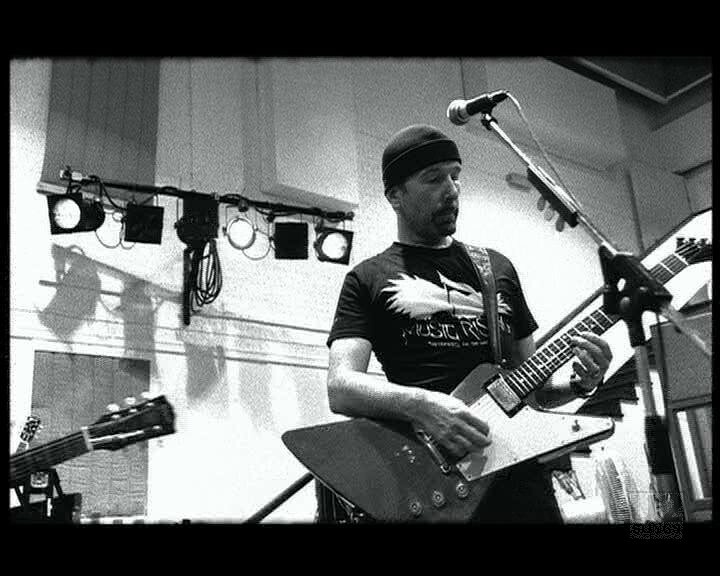 Shot in Abbey Road Studios, London and The Superdome, New Orleans. "U2 - “Window in the Skies” (Single)"
"U2 - “The Saints Are Coming” Single"
"U2 - “The Saints are Coming” Promotional Release"
"U2 - “U218 Singles” Compilation Album"